What am I reading? 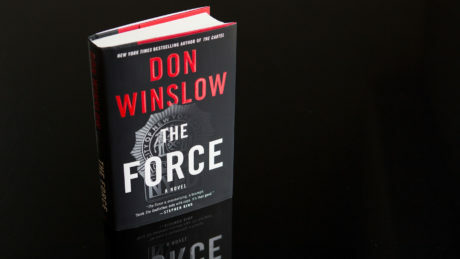 I’m actually reading three books at once right now, but the one that has really been a page-turner is The Force by Don Winslow. It’s a fictional piece about New York police detective Denny Malone, a crooked cop who ends up being squeezed by a lot of seedy elements in the city. It’s set in 2017 and has a pretty modern vibe to it, and one reason I like Winslow is his dialogue. His characters speak more realistically than characters in a lot of books. What am I googling? I went to see Alita: Battle Angel and saw some previews for other movies I’ve been looking into a little bit, like the new Pet Sematary and Jordan Peele’s Us. What am I looking forward to? I’m looking forward to football season. Like, high school football season. I went to a clinic last weekend, and it got me all excited to get back out there in August. Of course, we have a lot of things to do to get ready for the year, but clinics have a way of refreshing your mind while making you impatient to implement some of the new things you learned. 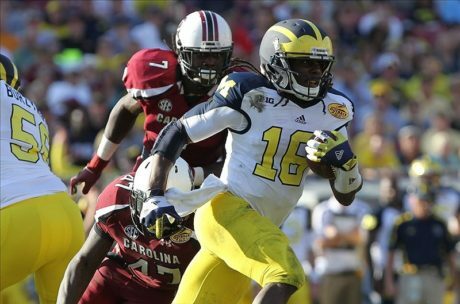 Channing Stribling has been the player to have the most interceptions in one season at Michigan under Jim Harbaugh, with 4 picks during the 2016 season. Tarik Black is working on making sure he’s healthy for 2019 (LINK). Speaking of wide receivers, Ronnie Bell and Oliver Martin are both looking for more playing time in 2019 (LINK). 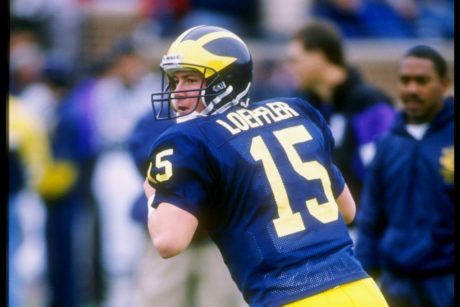 New Bowling Green head coach Scot Loeffler is hiring a bunch of former Michigan coaches, including Jim Herrman and Erik Campbell (LINK). Football Study Hall discusses UCF’s offense (LINK) and how close they are to being an elite offense. Zavier Simpson is one of ten finalists for Defensive Player of the Year in college basketball (LINK). Sammy Anderson – CB – Trotwood (OH) Trotwood-Madison: Anderson is a 6’2″, 170 lb. prospect with offers from Duke, Indiana, Pitt, and West Virginia, among others. He’s a 3-star, the #59 cornerback, and #799 overall. Michigan recruited Trotwood-Madison regularly several years ago, landing players such as Mike McCray II, but that relationship has dropped off in the last few years. Landen Bartleson – RB – Danville (KY) Boyle: Bartleson is a 6’1″, 182-pounder with offers from Kentucky, Louisville, Notre Dame, and Ohio State, among others. He’s a 3-star, the #47 running back, and #633 overall. He claims a 4.64 forty, a 4.51 shuttle, and a 35.7″ vertical. In his high school career so far, he has run the ball 318 times for 2,354 yards (7.4 YPC) and 37 touchdowns. 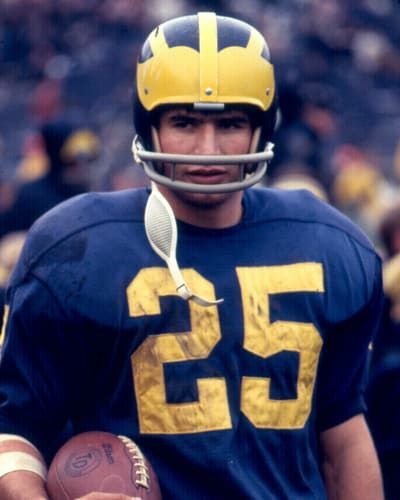 He also plays cornerback and could play defense at the next level. 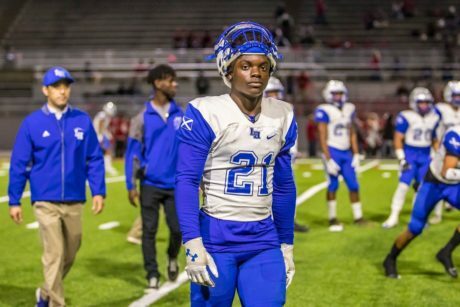 Clark Phillips III – CB – La Habra (CA) La Habra: Phillips is a 5’10”, 178 lb. prospect with offers from Alabama, Auburn, Florida, LSU, Ohio State, Oklahoma, and UCLA, among others. He has some fun film to watch with his speed and short-area quickness, and I think he could easily play slot receiver in college, too. Jerrold Pough – S – Hollywood (FL) McArthur: Pough is a 6’0″, 170 lb. prospect with offers from LSU, Maryland, and Miami, among others. He’s a 3-star, the #58 safety, and #1068 overall. Mookie Cooper – RB – St. Louis (MO) Trinity Catholic: Cooper committed to Texas. Here’s a list of visitors for this coming weekend (LINK). Catawissa (PA) Southern Columbia wide receiver Julian Fleming named a final six that does not include Michigan: Alabama, Clemson, Georgia, Ohio State, Oregon, and Penn State (LINK). This is unfortunate, since Fleming is the #1 wide receiver in the country. Orange Park (FL) Oakleaf defensive end Chantz Williams recently got a Michigan offer and promptly named a top five that doesn’t include the Wolverines. The list: Alabama, Florida, Florida State, Georgia, and Miami (LINK). I don’t think he’s coming north.